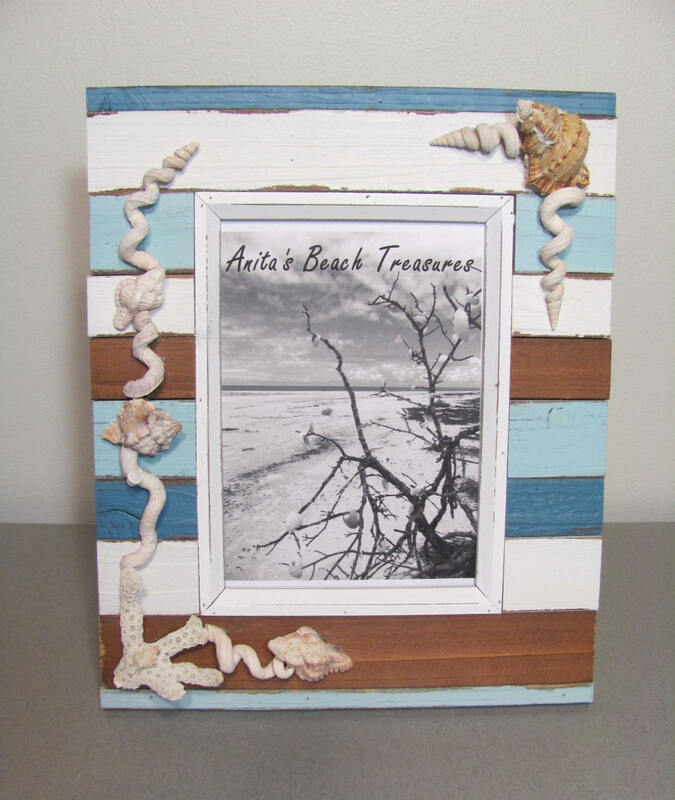 Picture this: A one of a kind, authentically coastal, handmade picture frame holding your favorite beach photo... a special vacation picture... your kids playing on the beach...your wedding photo! 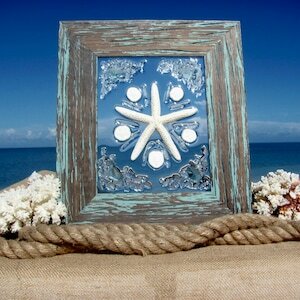 Its a great way to display your special memory! Each one of these unique shells were found during the course of many seashell excursions by my husband and I. 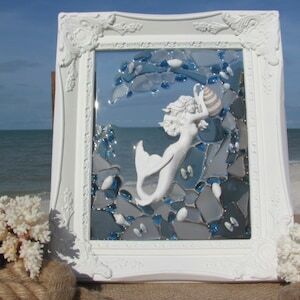 This frame features some particularly beautiful murex shells which are considered rare finds, along with a nice piece of coral with a tiny murex resting on it! 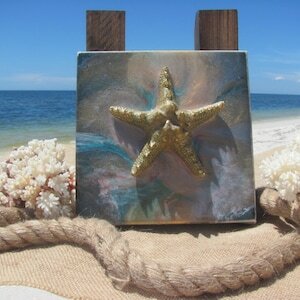 All of these treasures of the sea are incorporated together to make this beautiful work of art. 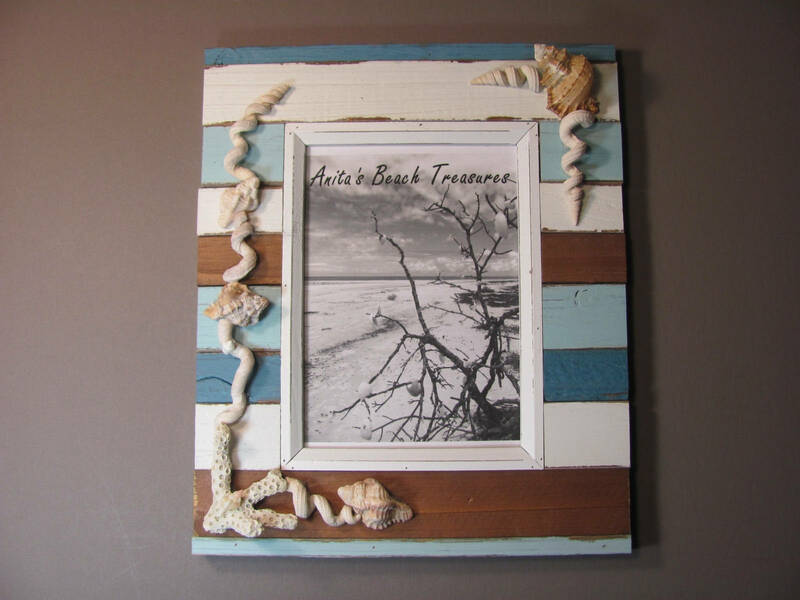 The frame holds a 5X7 photo (outer dimensions 9X11), is made of multi colored painted wood, and has a nautical cottage feel. There is an easel back for sitting on a table; there are also hanging rings on the back for hanging in either direction. It will be a standout wherever it is displayed, taking you back to that special moment. 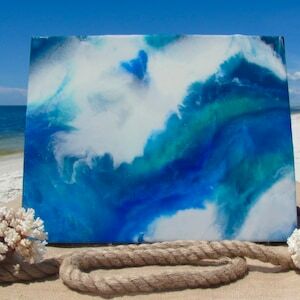 Makes a great gift for a beach wedding, or for someone's beach house.